This is your second busiest time of year. Second only to the big spike in the New Year where everyone decides this is the time to get fit. With a little effort now you can experience months of high volume work which will end this year well and catapult you into 2019 for your best year yet. The holidays are a gift. 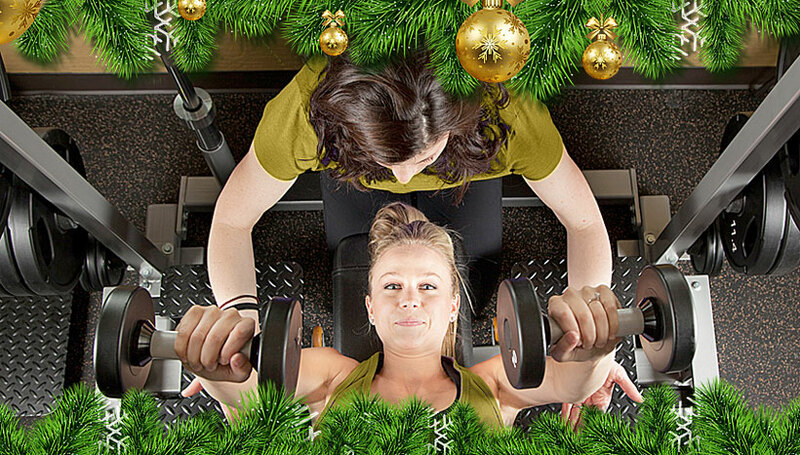 They give you the perfect reason to reach out to personal training prospects and just like the rest of the world does, you use the holidays to get people who care about the effects of the holidays. People are ready to listen at this time of year because most of us are aware of the effects of Thanksgiving. Create a program which aims at keeping off the winter weight addition. You will be pulling together a 6 – 8-week program where the goals are heading off the holiday effect. By doing your class you will help clients head off the holiday pounds. Put this smaller workout in at lunchtime 35-40 minutes in the middle of the day which gives an extra bump for people during the holidays. Just because someone doesn’t sign up today, doesn’t mean they can’t sign up next week. Keep emails going out regularly – people change their minds all the time. This is absolutely the time to offer creative pricing. You can offer programs where the sessions cost less for increasing numbers. 6 sessions at price $x, 4 sessions at $x+ and 2 sessions at $x++. Make sure to show value for early signing. This is the time to bring a client on so that they say for first quarter next year. Your client’s words speak louder than yours, get quotes from your past clients and use them across all of your marketing efforts. This is a great time for using your clients to get more. You can offer free classes in return for two testimonials who take a class. Better yet you can structure it so that the price drops for each additional referral and in addition offer friends and family pricing to the people who sign up as a referral. This way everyone feels good and you get more clients. If you’re going to be expanding your clientele and working more hours, you and your ability to train need to be protected. Personal trainer insurance policies cover you (and your bank account) in the event of an accident or training injury to your client. If your client slips and falls on some sweat in the gym, breaks an arm, and goes to the hospital- you could be liable. Keeping your personal training liability insurance up to date is also a great way to legitimize yourself as an independent fitness professional. Insure Fitness Group offers the most coverage for the lowest price, less than your yearly gym membership! Technology is your friend. Blog, tweet, Facebook, Instagram, and Pinterest. Get the same message out through all of them. The message must be consistent, but you can change it weekly or daily if you wish too. Could you work with a local business to run classes in their place of work at lunchtime? Take the class to the prospect rather than them coming to you. Look for cross-pollination opportunities. If there’s a coffee shop opposite the gym get the gym to offer your clients an extra – 5th cup free for example. On the other hand, you send your clients across the road where they get your coffee special. This could work with coffee shops, smaller boutique sportswear shops and even a bagel place. People are hungry after a workout. Provide information on what clients might do for the 6 or 8 weeks that are the last ones of 2018. This could be 30 second YouTube moments, podcasts, blogs or vlogs. 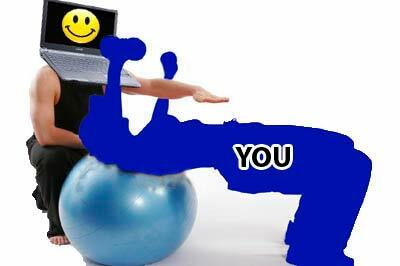 Create a series of exercise which you demonstrate to keep the pounds off, or be your healthiest by the New Year. The angle you take doesn’t matter. The key is providing the information and making sure that you get it out to as wide an audience as you can. Do something unique. Yes, you could wear a hat that looks like a Turkey but try for something a little more creative. The trick is to find a hook associated with the holidays and then use it on a regular basis to communicate with any possible prospect. Remember that repeat business is often easier than new business so focus your efforts on bringing them in now, even at a lower cost, because then you can keep them in the New Year.